Kyle Wren went 1-4 with an RBI. Josh VanMeter went 1-4 with a run scored. Christian Colon went 3-4 with 2 runs scored. Brian O’Grady went 2-4 with 2 home runs (3) and 3 RBI. 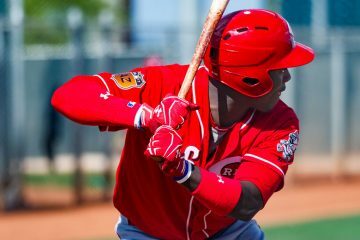 Aristides Aquino went 1-3 with a home run (2) and 3 RBI. Chris Okey went 1-3 with a run scored. Matt Bowman threw 2.0 hitless innings with a walk and 3 strikeouts. Ian Krol threw 1.1 shutout innings with a strikeout. Jimmy Herget threw 1.2 shutout innings with 2 strikeouts. TJ Friedl went 2-3, was hit by 2 pitches, and he had an RBI. Taylor Trammell went 4-5 with a run scored and an RBI. Tyler Stephenson went 1-3 with a walk, was hit by a pitch, and he scored a run. Gavin LaValley went 1-4 with a run scored and a walk. Brantley Bell went 1-4 with a walk and a run scored. Luis Gonzalez went 3-4 with a double, walk, 2 runs scored, and he had 2 RBI. Tejay Antone went 1-3 with 2 RBI at the plate. On the mound he allowed 2 earned in 5.1 innings with 2 walks and 4 strikeouts. Johendi Jiminian threw 1.2 perfect innings of relief with a strikeout. Joel Kuhnel struck out 6 batters in 2.0 shutout innings. Bruce Yari went 0-2 with 2 walks. Packy Naughton allowed 2 earned in 5.2 innings with 2 walks and 4 strikeouts. Carlos Diaz threw a perfect inning of relief. Michael Siani went 2-3 with 2 walks, he stole 3 bases, and he scored a run. Miguel Hernandez went 2-5 with a double and an RBI. Mariel Bautista went 1-4 with a steal. Pabel Manzanero went 1-4 with a walk. Shard Munroe went 2-3 with 2 walks, a double, a steal, and he scored 2 runs. 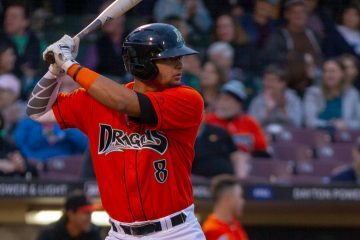 Juan Martinez went 1-5 with a double, run scored, and he had an RBI. Reniel Ozuna went 1-4 with an RBI. Claudio Finol went 1-4 with an RBI. Jhon De Jesus threw 5.0 shutout innings, allowing just 1 hit and 1 walk while striking out 7 batters. Ryan Campbell allowed a run in 2.0 innings with a walk and 4 strikeouts. O’Baby O’Grady keep it going lol. Nice Game for Double T keep raking Young Man. Glad to see Siani have a good Game, still Early, but still lovely to see . Trammell is on some kind of streak. He could be in Cincy in September or even earlier if he keeps this up. I doubt we see him this year. 3rd week of April next year at the earliest, mid season seems more likely. I suppose if he just goes absolutely ballistic and the Reds are in the hunt then maybe, but if that’s the case then where would he play with Winker in LF, Senzel in CF, and Puig in RF? That’s 3 everyday guys. Assuming we don’t resign Puig, I think we start next season with Winker in LF, Senzel in CF, and Schebler in RF, and then once the extra year is secured, shift Senzel to RF where his arm will play, and put Trammell in CF. On the other hand, Siri had a golden sombrero , plus 1. He struck out 5 times last night. He’s now K(ed) 13 times in 26 AB. Jose Siri 0-5 with 5 K. Ouch. Would that be like a diamond sombrero? Platinum sombrero? 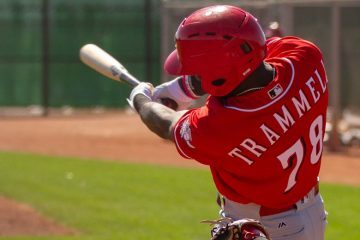 Taylor Trammell with a 5 game hit streak now and has been on base all 6 games this season. .417/.500/.667. Of his 10 hits, surprisingly no doubles or triples yet to go with his 2 HR. Luis Gonzalez with a nice start to the year hitting .357/.400/.500. With his plus glove at SS, you can never count a guy like him out. 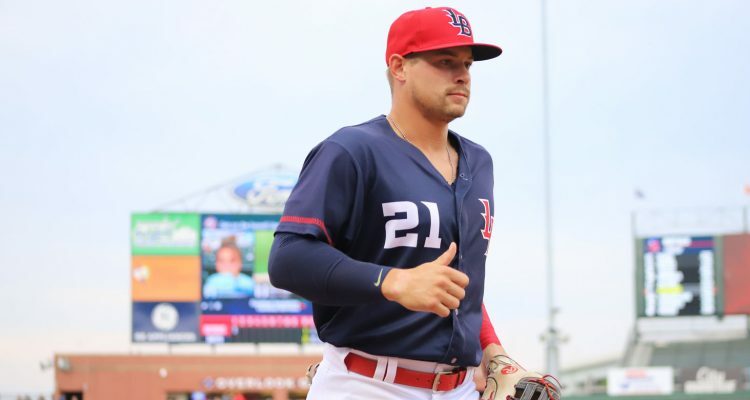 Still 24 and he can backup any infield spot, could still carve out a reserve roll in the bigs..
Gavin Lavalley quietly with a 6 game hit streak to start the year. Only multiple hits in one of those, but has 2 2B and 1 HR, good for a .333/.400/.571 line. Joel Kuhnel with 6 K in 2 IP, that’s impressive at any level. 10 K’s vs just 1 BB and 2 hits in 5.2 IP so far this year. 0.00 ERA, 0.53 WHIP. Could see him getting bumped up to Louisville by midseason if he keeps dominating. Mark Koloszvary off to a nice start in Daytona. Already with 6 RBI to go with a .353/.450/.471 line. Very good defensive catcher as well. Similar physique and tools to Tucker Barnhart, except Barnhart may have had a little more power. Jhon De Jesus with huge ground ball numbers early on. Always like to see that, and especially when they are missing bats as well. Siani with his first big game of the year. No extra base hits yet and too many K’s, but that speed is game changing. Might be a little over matched now, but it will be fun to follow his progress as the year goes along. Sorry Duke . I guess we were posting simultaneously about Siri. I prefer the term Platinum Sombrero personally. Looks like Siri has a new tool for his tool box. The K-bar, or KaBar. The guy is going to hit his way to Cincinnati. The Reds may want to see if he can play some corner OF. 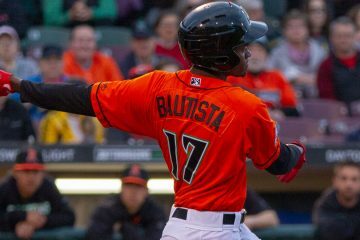 No room for him in Cincinnati in 2019 on the INF or the OF or the bench. But with lots of contracts expiring at season’s end, O’Grady could be an important piece for 2020.